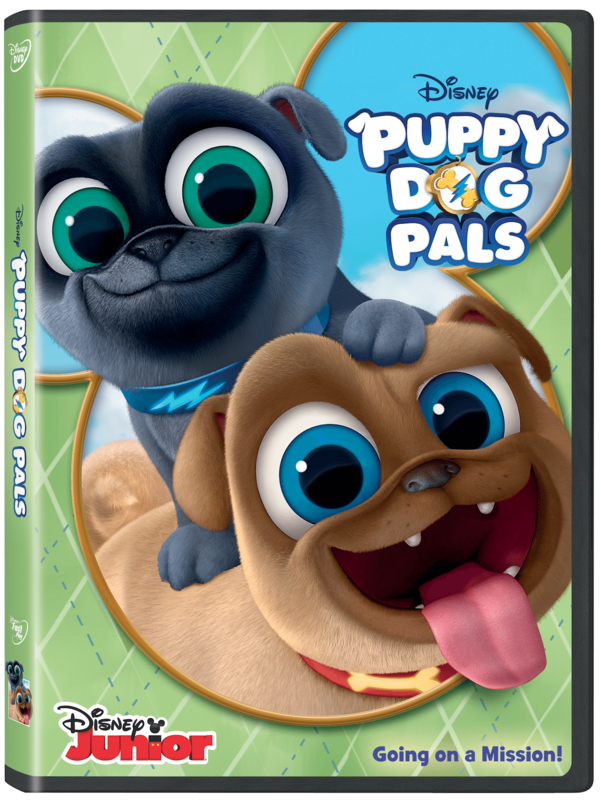 Today we’re going on a mission to review the latest DVD release from Disney Junior, Puppy Dog Pals! (Coming to DVD on April 10th!) Join puppy brothers Bingo & Rolly as they travel the world or even their own neighborhood trying to save the day, all while their owner Bob is at work. This series was created my comedian Harland Williams. (He’s also the voice of Bob.) I think this is one of the reasons I like this show. My kids think it’s hilarious, but as an adult I think it’s pretty funny too. Executive producer Sean Coyle says, “When we started to define the characters of Bingo and Rolly, we wanted to treat them as if they were 4-year-old kids, and it was important that we presented their detective work through the eyes of a 3- or 4-year-old.” As a mother of a 3 year old, I think this is why I find it so hilarious. I can totally relate to the way these doggy detectives solve their missions because I have own on little problem solver who thinks a lot like they do. Need bread to make French toast? Then you need to go to France of course! Can’t find the ancient pyramids? Well did you think to look buried in the sand? It’s not just our son who loves Puppy Dog Pals, our 1 year old daughter loves it too! As soon as she hears the theme song start she comes running as fast as she can! She loves to dance every time they sing a song. But perhaps my absolute favorite thing about this show is that it’s all about family and friendships. Bingo and Rolly are the best brothers. They are always looking out for each other and taking care of everyone around them. You can’t go wrong by picking up a copy of this dvd! Each episode is jam packed with friendship, problem solving, adventure, comedy, & don’t forget two adorable puppies! Disclaimer: Catie received the Puppy Dog Pals DVD free of charge in exchange for an honest review. No other compensation was received. Affiliate links have been provided, but of our own volition. Affiliate links do not raise the cost for the consumer, but do allow us to receive a few pennies to keep this site moving forward!